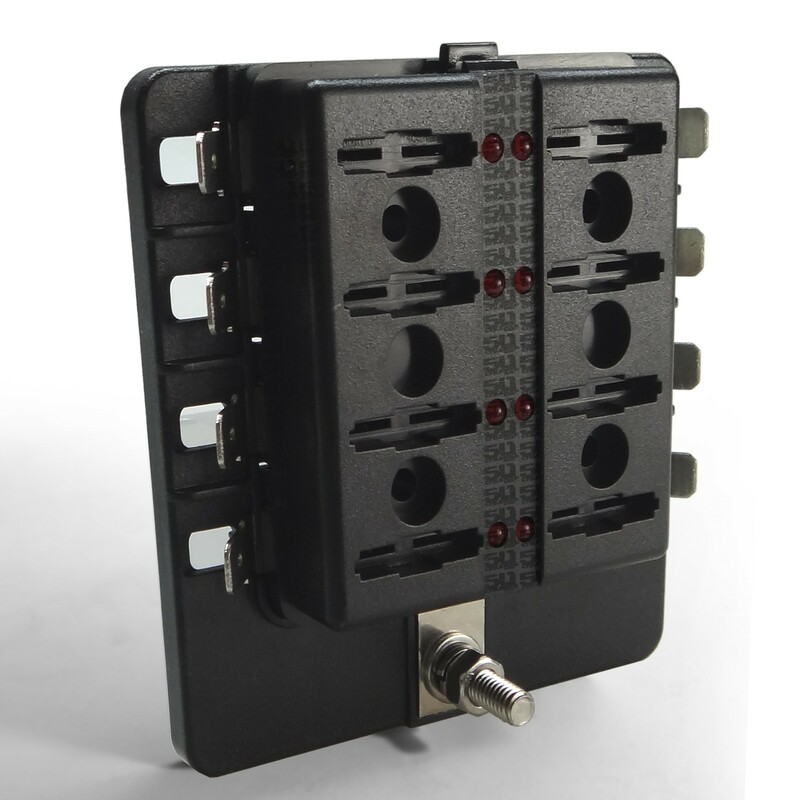 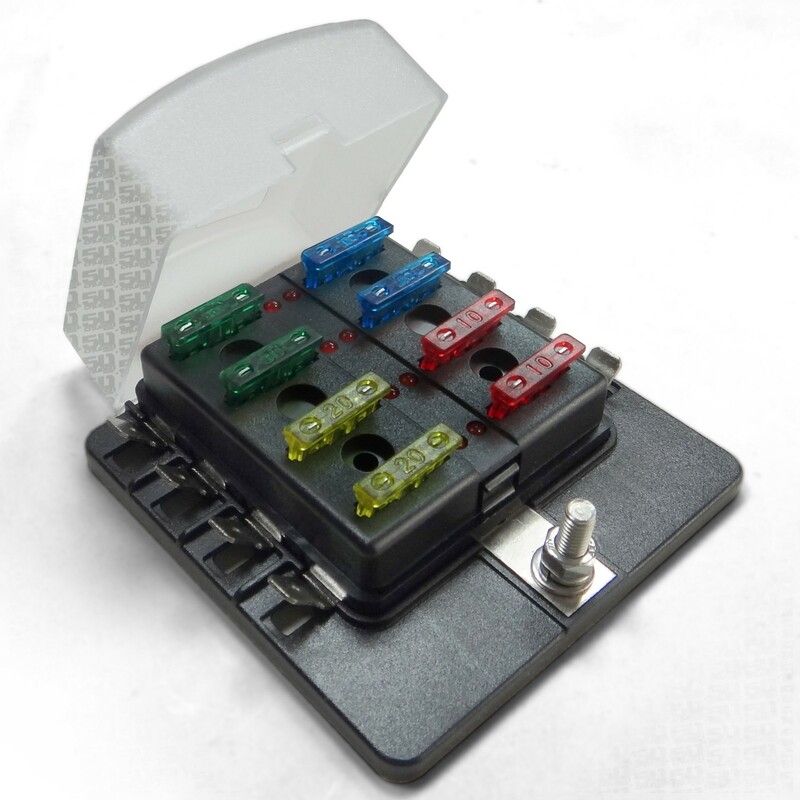 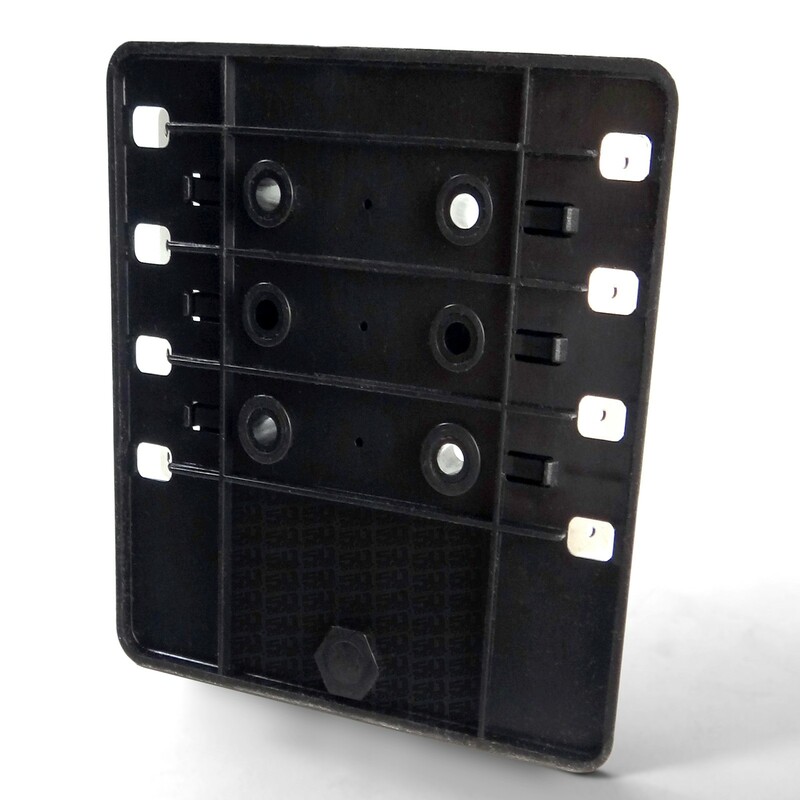 Universal 8 Way blade fuse box and distribution board with terminals for both the negative and positive sides of the circuits. 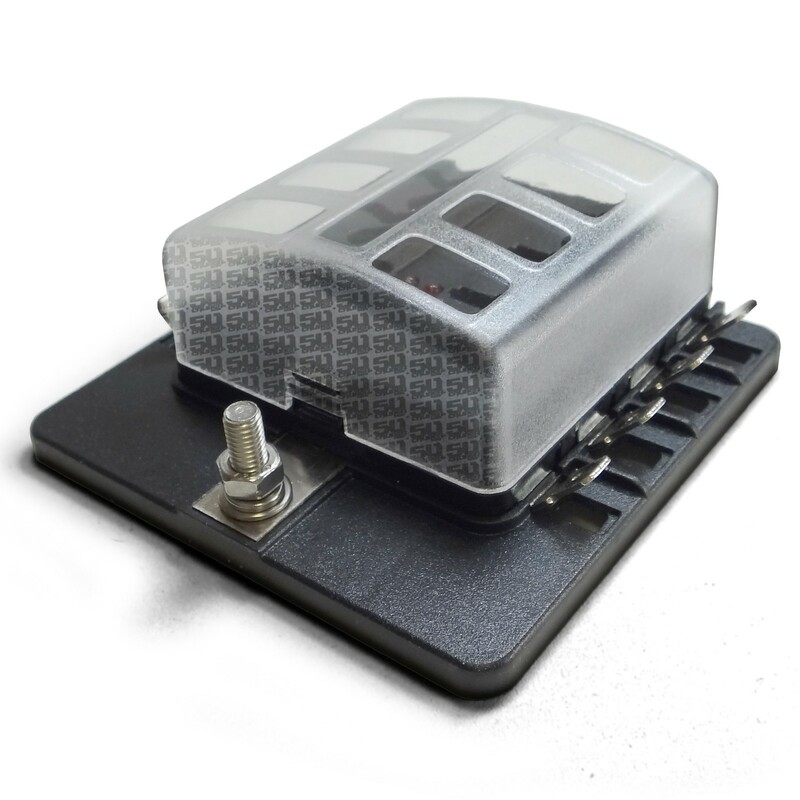 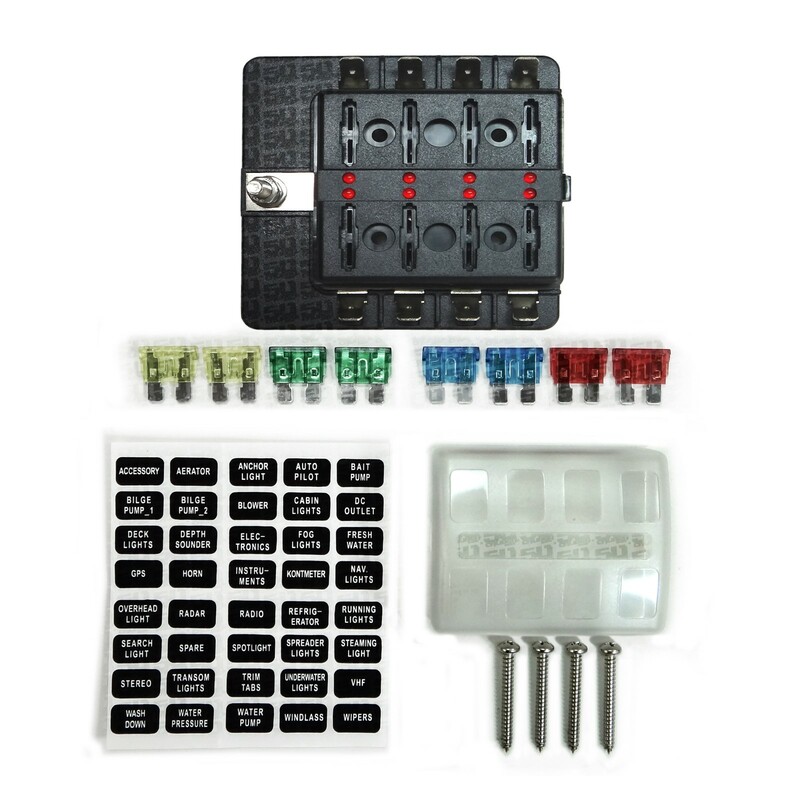 This fuse box is suitable for all kinds of automotive and marine applications, including 6V, 12V & 24V systems (maximum voltage 32V). 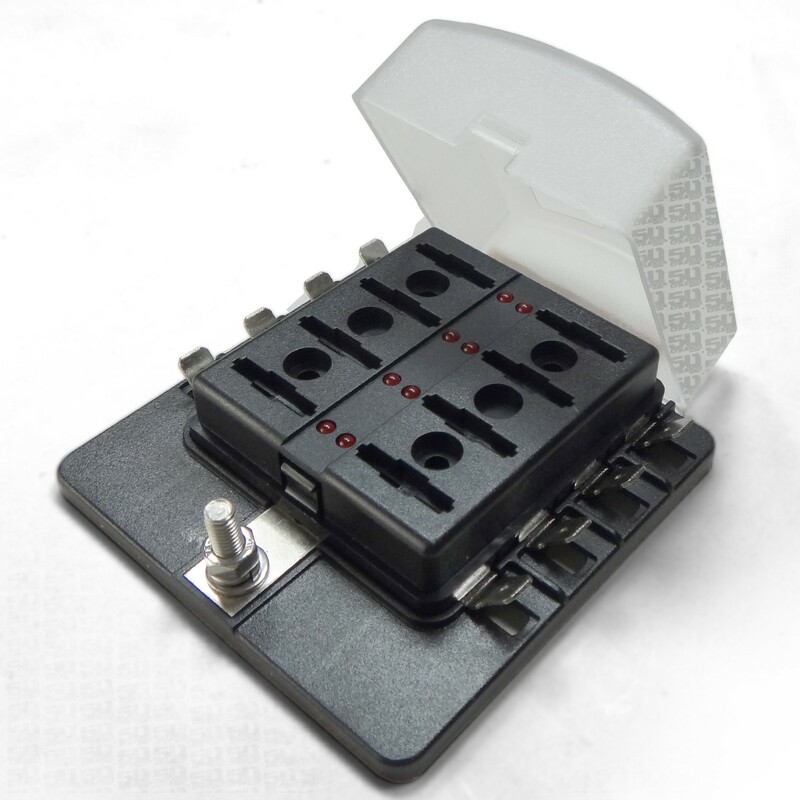 Each fuse holder is designated a custom label for identification and to make fuse installation as easy as possible. 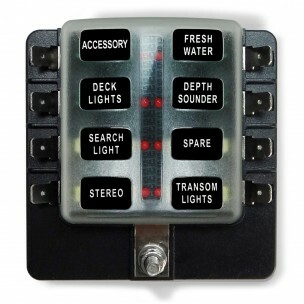 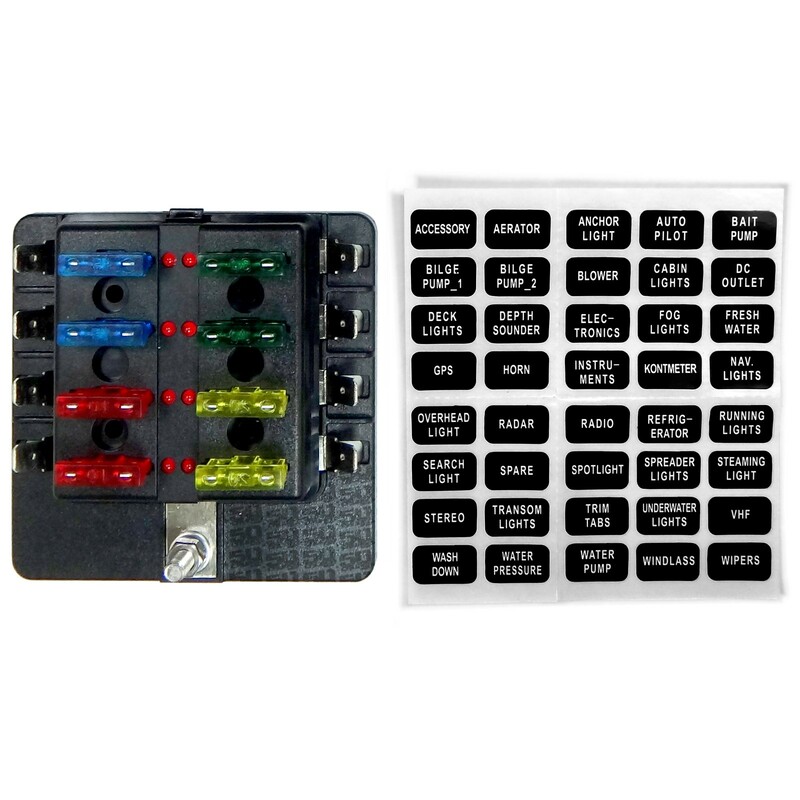 The fuse box is also quipped with red LEDs that illuminate when a fuse is blown making it easy to identify blown fuses and makes for easier problem solving.